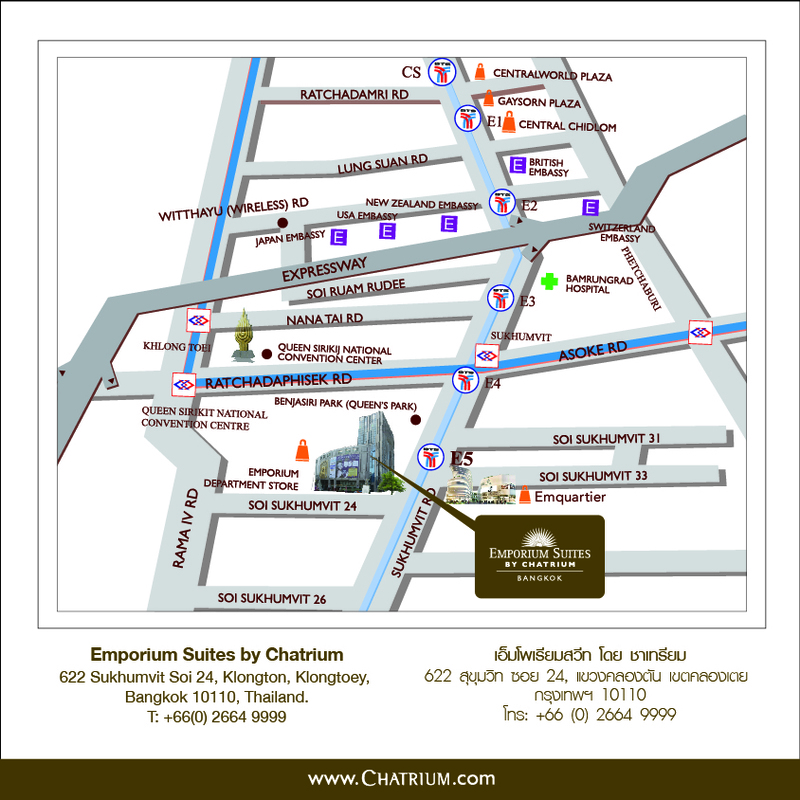 Many of Bangkok’s luxury properties lay claim to providing superlative accommodation with unrivalled levels of comfort, amenities, facilities and service but at Emporium Suites by Chatrium all these come as pure standard. 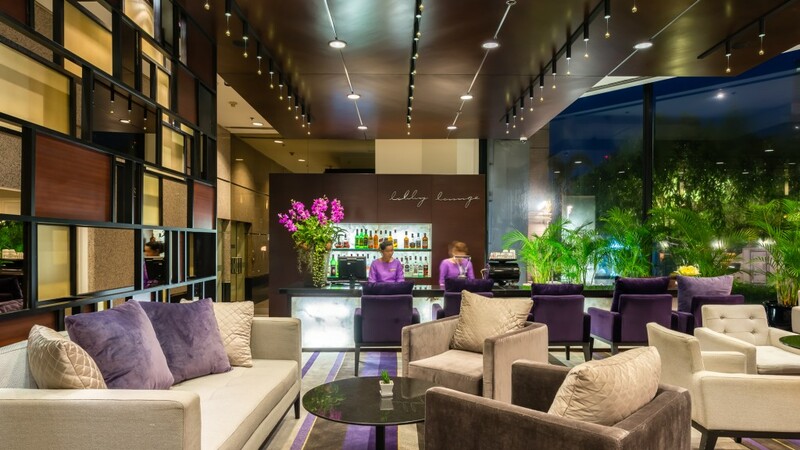 As you enter your immaculately-prepared and spacious room or suite outfitted with every possible amenity for a cosseting and fulfilling stay you’ll instinctively know you’ve found your home away from home in Bangkok. And with a host of facilities and dining options tailor-made to provide those little touches which turn a great vacation into something truly memorable you’ll feel safe in the knowledge that choosing Emporium Suites was simply the right decision. The oft-chanted mantra of location, location, location was seemingly made for Emporium Suites being situated as it is in the beating business, dining and shopping heart of the city on Sukhumvit Road and the “Em District”, consisting of Bangkok’s renowned Emporium and EmQuartier shopping meccas. 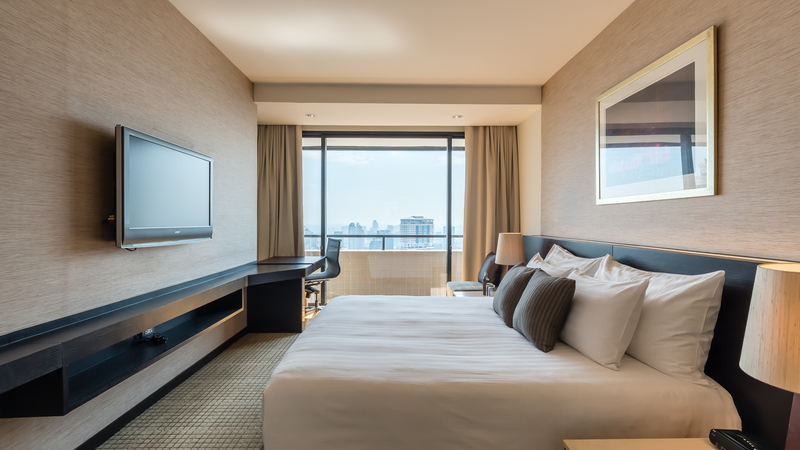 In fact, Emporium Suites enjoys the capital’s prime accommodation spot of being located directly above the Emporium mall. Mere minutes from your room brings you into a world of high fashion with the latest collections from the world’s top designers and up and coming trend-setters, accessories and beauty products galore, new ideas to transform your home and dining options to suit all tastes and budgets with gourmet supermarkets and high-tech movie theatres also available in both locations. 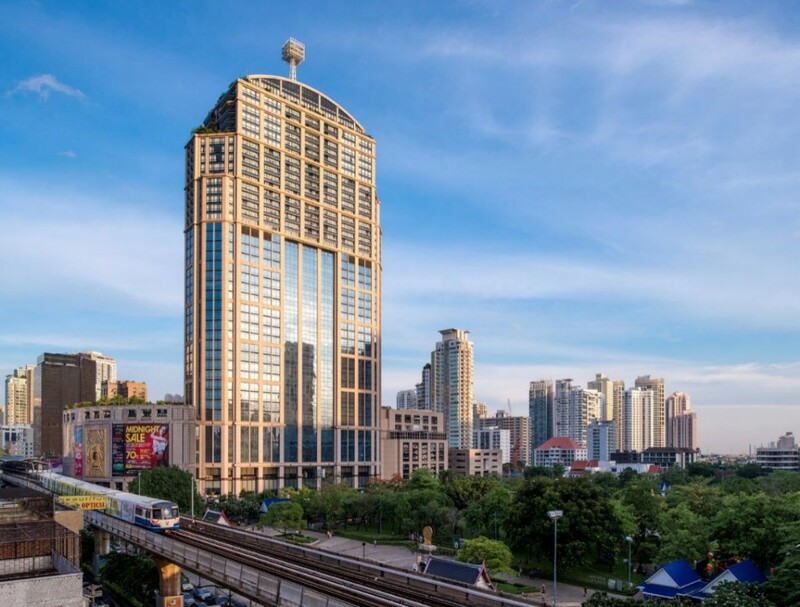 If you need to get around and explore the myriad of attractions that Bangkok has to offer well that’s simplicity itself as the Emporium Suites provide direct access to the BTS skytrain system at Phrom Phong Station putting the entire metropolis at your fingertips. Or if you want to stay a bit closer to home then the beautifully tranquil Benjasiri Park is right next door to escape the hustle and bustle of the city plus Bangkok’s latest mega-attraction the Dinosaur Planet Theme Park is only 5 minutes away on foot if you fancy tangling with a T-Rex or visiting a Velociraptor. They’ve even got an erupting volcano-not exactly a common sight in downtown Bangkok! And if after a day packed full of excitement all you want to do is chill out, take the weight off your feet and spend some quality time busy doing nothing then Emporium Suites is waiting to welcome you home with open arms as you take a refreshing dip, lay back in the Jacuzzi, top up your tan or sink a simply sublime mixologist’s cocktail while nibbling a temptingly tasty snack at the free-form swimming pool and children’s pool on the 7th floor; alternatively you are cordially invited to enter a state of totally pampering sensorial bliss at the hands of one of our skilled therapists who are trained in the art of healing your mind, body and soul in the exclusive Spa by THAAN Sanctuary. 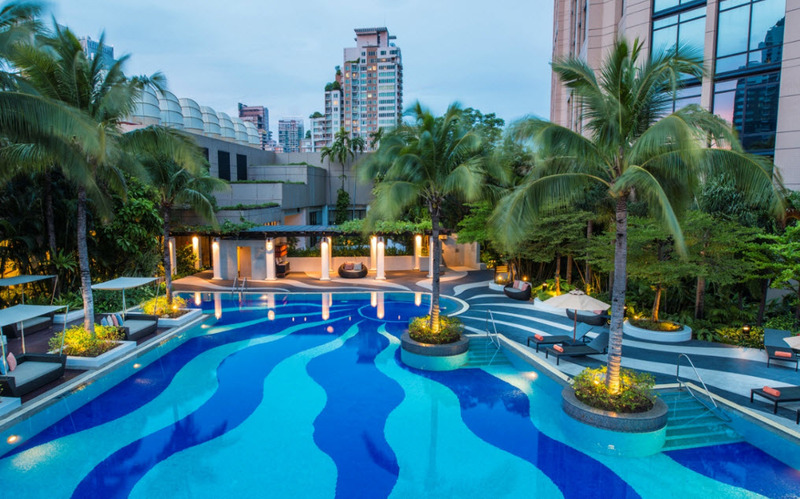 Even though you’re on a well-deserved vacation there’s no need to miss your daily workout regime with a fully-equipped state of the art fitness centre beside the pool or for those of a less strenuous disposition the 7th floor landscaped gardens are highly recommended for a moment getting away from it all.